What is neuralgia? Neuralgia is best described as a shooting, sharp, and burning pain stemming from damaged nerves. Neuralgia symptoms and causes vary, depending on the location of the nerve in question. Serious health conditions such as major injury, diabetes, and side effects of chemotherapy and some medications can stimulate nerve pain. This brief and severe pain commonly occurs in the face and neck, but can be presented anywhere in the body. The nerve pain can be debilitating and can last for a few weeks, months, and even years. There are three main types of neuralgia, depending on the cause of the damage or nerve injury. Stemming from the trigeminal nerve that travels from the brain to the face, this form of neuralgia causes chronic pain in the face. It is commonly caused by the pressure of a blood vessel on the nerve. Patients with multiple sclerosis also experience this condition. Radiating on one side of the face, damage to this nerve can result in excruciating pain with the slightest touch, such as applying lotion or even brushing the teeth. Trigeminal neuralgia is common in those over the age of 50 and affects more women than men. Pain management treatment options are available. On the flip side, atypical trigeminal neuralgia (ATN) is rare, but offers similar symptoms as trigeminal neuralgia. ATN affects all three trigeminal nerve branches and presents as pain in the back of the scalp and neck, causing sensitivity when talking, eating, and changing facial expressions. This type of neuralgia is a direct result of the shingles viral infection. Pain at the site of the blisters can range from mild to excruciating, and can last long after the rash disappears, even for years. This burning sensation of the nerve fibers and skin can affect anyone with the outbreak of the shingles virus, and is common in those older than 60 years. Since it relates to this condition, postherpetic neuralgia symptoms can be treated, but not cured. Glossopharyngeal neuralgia is a rare condition of neuralgia and affects the neck and throat regions. This nerve is responsible for the throat muscle’s mobility, and acts as a transmitter to the brain. No direct cause has led some researchers to link this form of neuralgia to an abnormally positioned artery compressing on the glossopharyngeal nerve. It presents as pain in the tonsil region, at the back of the tongue and throat, and can affect a portion of the ear. Men over 40 are at a higher risk. Nerve damage or injury can occur when the protective layer of myelin sheath is damaged or becomes worn. This damage can be caused by various factors, including the aging process. As with the case of postherpetic neuralgia, conditions are often caused by infections. There have been cases of neuralgia linked to patients with Lyme disease, syphilis, and HIV infections. 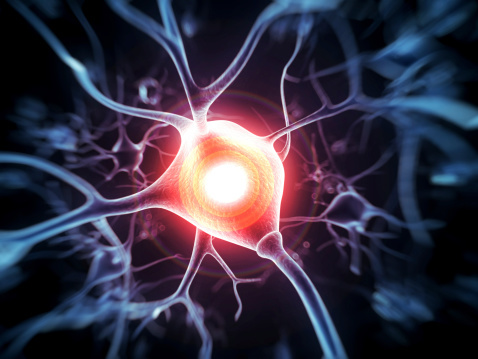 This debilitating disease occurs when the myelin nerve coverings begin to shrink or deteriorate. The face is affected by trigeminal neuralgia. The protective myelin sheath covering the nerves can be damaged by the pressure of bones, ligaments, blood vessels, or even in the rarest cases, a tumor. Another attacker of the myelin sheath is the presence of too much glucose in the bloodstream, causing vessels to swell and apply pressure on the nerves. This can be common in diabetes patients. 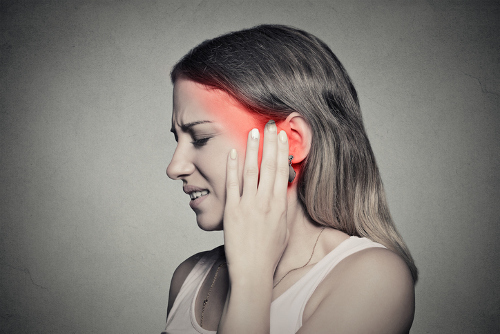 There are several, less common factors that can trigger neuralgia. Nerve pain can stem from trauma, chronic kidney disease, medications, blood disease such as porphyria, or chemical irritation. Unfortunately, some cases of neuralgia cannot be linked to any cause. Depending on the type, cause, and the location of nerve injury, one can expect pain ranging from mild, throbbing sensations to agonizing pain. It can stem directly at the source, or from the lightest touch on the affected area. Trigeminal neuralgia cases can result in stabbing pains that can be spontaneous, or triggered by local activity such as the touch of a hand. The pain can be short-lived or linger for several minutes. Trigeminal neuralgia incidents can last from days to years, with some people experiencing a time of remission between occurrences. Postherpetic neuralgia can also result in burning and excruciating pain on the areas affected by the shingles lesions. This pain can accompany the virus rash and still be present months after the shingles rash has healed. Even the slightest touch of the patient’s clothing can trigger pain. In a few cases, postherpetic neuralgia can be experienced with numbness or itchiness. Glossopharyngeal neuralgia symptoms are similar to trigeminal neuralgia, with a short-term stabbing and burning pain. It is triggered by activities such as talking, chewing, or swallowing. This pain can be felt on one side of the throat and episodes can last days, weeks, and even months. Treatments are available for symptoms of all forms of neuralgia, such as supplements and topical pain relievers. Neuralgia home remedies can be found in your cupboard for immediate relief of symptoms. Cayenne has an active component called capsaicin, which is a key stabilizer for topical pain relief. Cayenne is known to maintain good blood circulation throughout the body. Apple cider vinegar eliminates pain-causing toxins with its amazing alkalizing powers. Apple cider vinegar also replenishes the loss of vitamins and minerals associated with nerve pain. Treat nerve pain and promote blood circulation with the use of bull thistle. It can be consumed cooked or used as a seasoning on dishes. Neuralgia can be a debilitating disease that can rob a person of joyful living when pain episodes are triggered. Ranging from mild to severe, various forms of neuralgia occur when the nerve’s protective myelin sheath is worn or damaged. Depending on the type and cause of your nerve pain, there are treatments to relieve symptoms so you can live a normal, active life. “Trigeminal neuralgia,” Mayo Clinic; http://www.mayoclinic.org/diseases-conditions/trigeminal-neuralgia/basics/definition/con-20043802, last accessed February 24, 2017. “Postherpetic neuralgia,” Mayo Clinic; http://www.mayoclinic.org/diseases-conditions/postherpetic-neuralgia/basics/definition/con-20023743, last accessed February 24, 2017. “Glossopharyngeal neuralgia,” Mayfield Brain & Spine; http://www.mayfieldclinic.com/PE-glossopharyngeal.htm, last accessed February 24, 2017. “Neuralgia Remedies,” Earth Clinic, February 8, 2017; https://www.earthclinic.com/cures/neuralgia.html, last accessed February 24, 2017.